Breaking News: The popular impressionist joins emcee Lindsay Czarniak on stage for the exclusive pre-game Super Bowl XLIX party hosted by Bullseye Event Group. 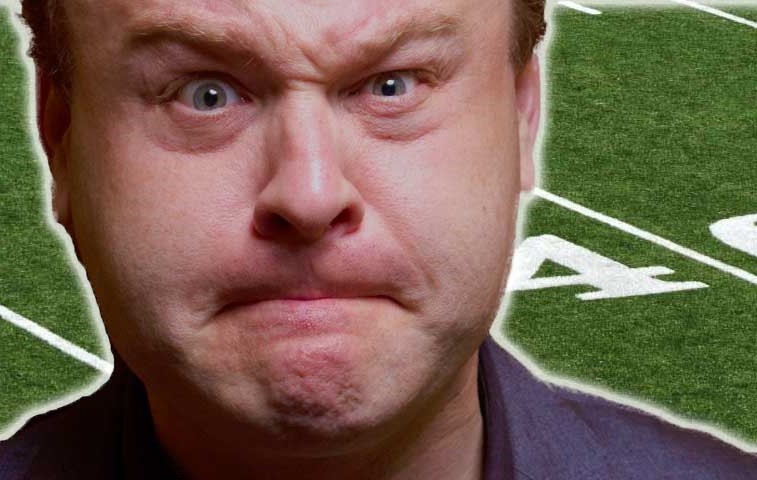 Indianapolis, Indiana (PRWEB) January 29, 2015 – Bullseye Event Group, one of the nation’s leading Sports Travel package provider and event ticket companies, just confirms comedian and impressionist Frank Caliendo will perform live at The 2015 Players Super Bowl Tailgate. Caliendo joins emcee and ESPN SportsCenter anchor Lindsay Czarniak on stage to entertain the crowd. He will conduct some interviews with a few of the 25+ active NFL players in attendance with his spot-on impersonations of sports celebrities. Best known for his work on Fox NFL Sunday and MADtv, his comedic likenesses of sports personalities like ESPN commentator Jon Gruden, former NFL color commentator John Madden and sportscaster Jim Rome; athletes such as former basketball star Charles Barkley and actors Robin Williams, Morgan Freeman and William Shatner have made him a household name as well as a popular guest on talk and sports shows nationwide. Bullseye Event Group’s Players Super Bowl Tailgate has earned a reputation among NFL football players and fans as the “premiere Super Bowl game day experience,” where 25+ active NFL players, celebrities and guests eat, drink and get entertained before the Championship game. Over 25 active NFL players are scheduled to attend, including Knowshon Moreno, Miami Dolphins; C.J. Mosley, Baltimore Ravens; Joique Bell, Detroit Lions; TJ Ward, S, Denver Broncos; Shareece Wright, San Diego Chargers; Kenny Stills, New Orleans Saints; Robert Golden, Pittsburgh Steelers and many more. Described as a culinary experience in itself, it features an open premium bar and all-you-can-eat dining with gourmet dishes served by renowned local chefs. In 2015, Chef Beau MacMillan and Chef Aaron May join that celebrated chef line-up, which includes Chef Marcus Samuelsson in New York for Super Bowl 48 and Chef John Besh in New Orleans for Super Bowl 47. Guests also enjoy a hospitality lounge lined with private tables, where they can watch ESPN’s pre-game coverage broadcast on large plasma televisions. The 2015 Players Super Bowl Tailgate takes place in a custom-designed, 29,000-square-foot tailgating venue at Tangers Outlets, within walking distance of University of Phoenix Stadium, on Sunday, February 1, 2015 from 11:00 a.m. to 4:00 p.m. Tickets can be purchased online at BullseyeEventGroup.com. Call 1-317-800-5820 to purchase tickets with a game day transfer. Bullseye Event Group is the Official Events and Travel Partner of the Indianapolis Colts. As a secure, official source for travel, hotel, pre-game parties and tickets, Bullseye Event Group is a direct and dependable source for The Colts VIP Tailgate, Super Bowl XLIX packages, The Players Super Bowl Tailgate, the Masters and event tickets, delivering unforgettable experiences to fans. To learn more, visit BullseyeEventGroup.com.